Life is short, between work, school and family we tend to lose the essence of life, instead of enjoying life we exist. At least that is how I feel sometimes. So, I decided to change my ways. My biggest problem was fear, afraid of this or that, of failure. Come to think of it, I think that is the only thing stopping me from achieving my goals. I believe if you set your mind to something, anything is possible. So here are my three motivational tips I would love to share. First and foremost, Take Risks. I do not mean anything dangerous or life threatening, but getting out of your comfort zone is the only way you will truly be able to discover yourself on a deeper level. I realized this after my trip to Costa Rica. Booking his trip, flying out by myself was the best thing I have ever done. I had the time of my life. Only during this trip did I realize how much stronger I am of a person than I really thought. It really forces you to become in sync with yourself when you are traveling alone. Finish what you start. Many times after the first or second try, if we do not receive the results we want, we give up. I am definitely guilt of that. Yet the magical thing about failure is, without it we cannot learn and grow. We must fail in order to see where we can improve and finishing a task is probably one of the hardest thing to do. Sticking with a regime is difficult on its own, but once you get into the habit of doing it, everything else will come naturally. For example, I hate doing my bed, but I love coming home to a clean and organized house. So I told myself, if I do my bed for two weeks straight, I will reward myself in the end. This gave me something to look forward to. The same goes with anything, reward yourself for the hard work you do. You deserve it! Engage in positive thoughts. One of my favorite quotes is “you cannot control what happens in life, but you can control how you react to it”. Situations will arise where you feel helpless and out of control. These moments can be terrifying, but the ability to take a deep breath and release the negative emotions will not only leave you feeling less stressed but also have a positive impact on your overall health. Sometimes it is hard to deal with the emotional build up, in those situations I like to take a walk with my walk or take warm bath. Then, once I have calmed down I return to the situation and deal with it much more efficiently than I would have in the heat of the moment. Summertime is here, and what does that mean? Vacation time! Whether it’s visiting family, or going to tour another country, packing is inevitable. Now, how do you take enough clothes to last you the entire trip, but also not fill up your suitcase with unnecessary items? 1. Make sure you DO YOUR RESEARCH. Know the current weather situation in your destination, and as your trip gets closer, check what the weather will be like the days you are there. 2. RESEARCH THE CULTURE and how residents of the country dress. For example, if it is a tropical country, you’ll less likely be wearing high heels and fancy dresses than if you were going to a country where fashion is emphasized. 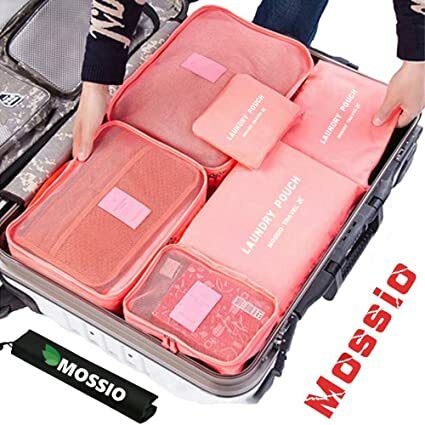 This will prevent you from packing unnecessary clothing that will take up space in your suitcase and you will not end up wearing. 3. Think about HOW MANY DAYS you will be traveling. Consider about two outfits per day. One should be for the daytime, and one appropriate for the evening. A little black dress usually works for every occasion. Lay out all that you have picked out so that you have a visual overview of what you packed, and what you may have missed. Unless you’re going to be traveling to a country where the weather changes or are going during the winter season, TRY NOT TO PACK ANYTHING BULKY. Wear the heaviest items on the plane. For example, jeans go with everything but are really heavy. One or two pairs of jeans will take up more room than if you opt for a few pairs of jeggings. Lightweight and trendy, they are an alternative to heavyweight denim. 5. Choose ONE item from each clothing category. For example, one dress, one skirt, one pair of pants, and three or four tops (if it is a shorter trip) will do. This will give you the opportunity to mix and match. If you are going on a trip which involves a lot of hiking or other physical activities, pack OLD T-shirts and tank tops that you can then throw away in order to free your suitcase for souvenirs. That’s it for now friends! Have a fun and safe journey and comment down below for any travel tips you have. BTW shoutout to Bailey for being such an amazing model!